It’s National Orthodontic Health Month! The month of October is National Orthodontic Health Month, but what exactly does that mean? Orthodontic Health Month is celebrated by educating as many people as possible about orthodontic health. An orthodontist’s job during this month is to try to get more people educated about the science of orthodontics, how treatments work, what myths are false, and so much more! It’s a month to celebrate the spectacular orthodontic developments that have developed over the years and benefited so many people. Everyone has either gone through orthodontic treatment themselves or know someone who has gone through treatment. Your oral health is super important and should never be swept under the rug, so to speak. If you or someone you know is considering embarking on the journey towards a fantastic smile, you should do all you can to be educated on the many orthodontic treatment options available. The primary purpose of going through orthodontic treatment is to align your teeth in a way that ensures a healthy bite. A misaligned bite can result in damage to your tooth’s enamel, difficulty eating, more cavities, and so many more issues. In addition to getting rid of these issues, orthodontic treatment has one other, very desirable, outcome: a beautiful smile. This reason is typically the main reason people choose to undergo treatment, which is perfectly fine. As long as you’re getting your teeth aligned correctly, no matter the reason, it’s great you’re doing it! Treatment itself is one of the most important parts of orthodontic health, and with all of the different options available, there’s a perfect solution out there for everyone. Braces are a fantastic, classic option for basically any patient. Ceramic braces are a more discreet option for braces wearers. 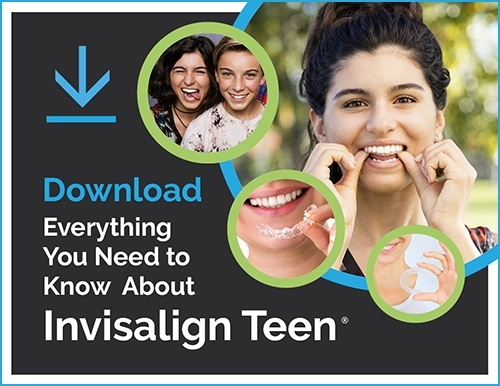 Invisalign is a fantastic and modern way to straighten your teeth. Each treatment option has pros and cons that should be carefully considered before committing to anything. Your orthodontist is a great resource for more information on which option is the best for you. Along with making sure your teeth alignment is correct and healthy, you also should always ensure to maintain great dental health as well. With braces, this means brushing, flossing, and making sure all the food is dislodged from your braces each time you eat. Failure to do so is likely to result in cavities or more severe dental issues. If you’re an Invisalign patient, brushing and flossing your teeth before putting your retainers back in and keeping your trays clean will go a long way in maintaining your dental health. Overall oral health comes from a combination of orthodontic health and dental health. Milnor Orthodontics is a great place to get started on your orthodontic health, but since we don’t offer dental services here, be sure to keep up with regular dentist appointments too. National Orthodontic Health Month is officially here, so share what you know and learn more about this spectacular health benefit that people utilize every day!